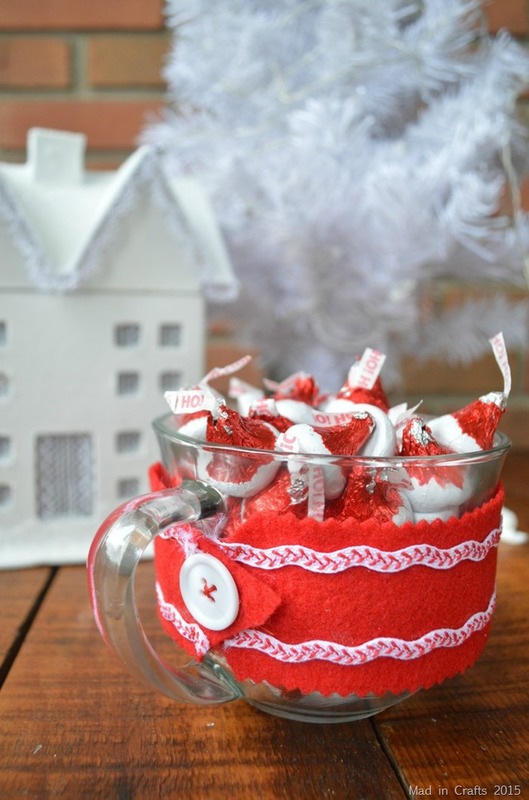 I love to give my kids’ teachers handmade gifts, but I also try very hard to make them useful as well as cute. 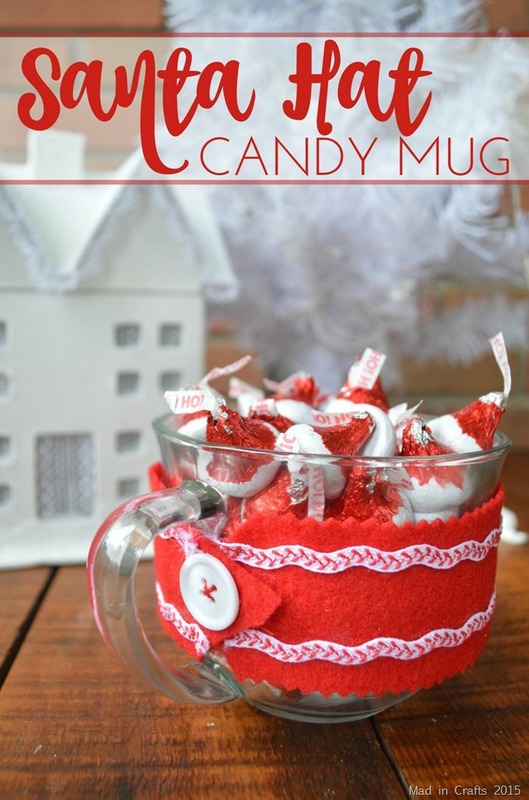 This combines adorable Christmas candy with a useful coffee mug, complete with a cozy coffee mug sleeve. 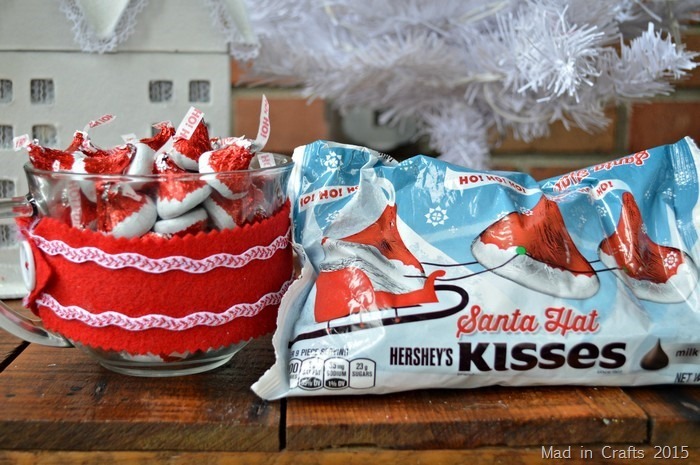 You can make several of these gifts in no time. I chose to put the chocolates in a clear glass mug so that you can see the adorable wrappers through the sides of the mug. Then I made a quick, almost no-sew mug sleeve to decorate it. 1. 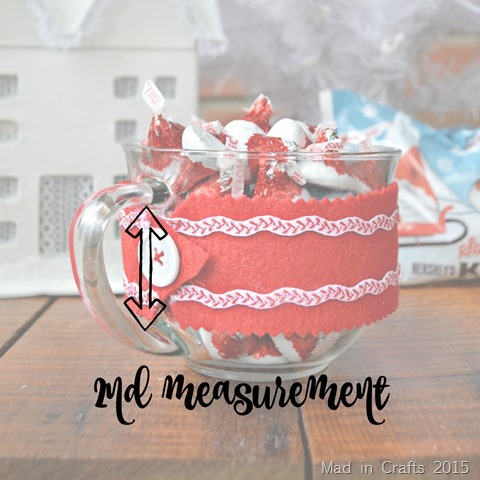 Measure the distance around the mug (measuring INSIDE the mug handle). Add one inch to that measurement. 2. Measure the interior distance from the bottom of the top of the handle to the top of the bottom of the handle. 3. 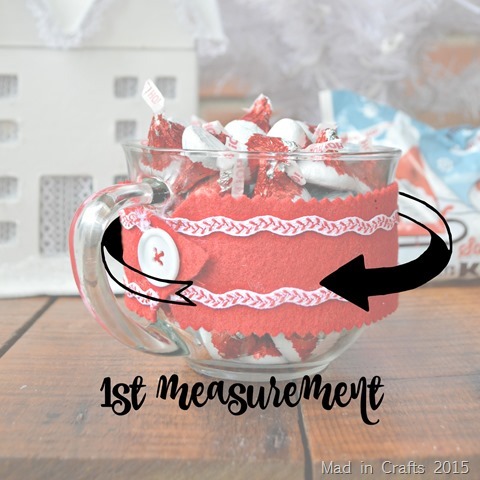 Use pinking shears to cut a piece of felt to those measurements. 4. Use fabric glue to add embellishment, like rick rack or sequins. 5. Cut a small slit near one end of the felt. 6. 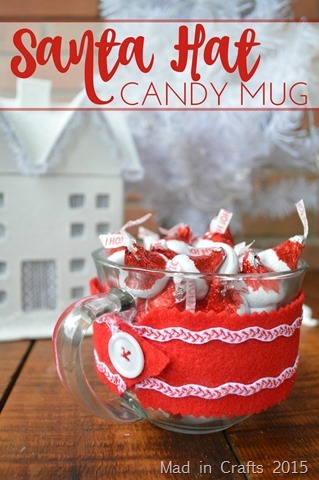 Sew a button to the other end of the felt, checking to make sure the sleeve will fit your mug. 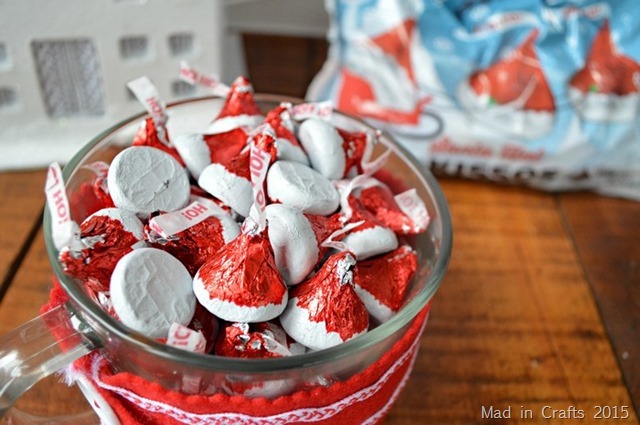 Fasten the sleeve around the mug and fill the mug with HERSHEY’S KISSES Santa Hat Chocolates. I was able to fit an entire bag in my big mug. 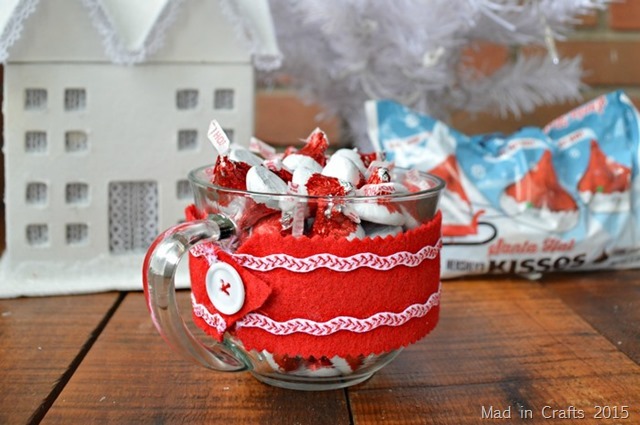 If you end up deciding that the mug is just too cute to give away, it would make an adorable candy dish to have out to greet your holiday guests! If you want to get started making this project for yourself, you can Buy now.